It is understood that the July and August of each year is the off-season sales period of the hardware market. However, in recent years, due to the further acceleration of the urban infrastructure construction and urbanization process in China, the high temperature of the real estate industry continues to retreat. 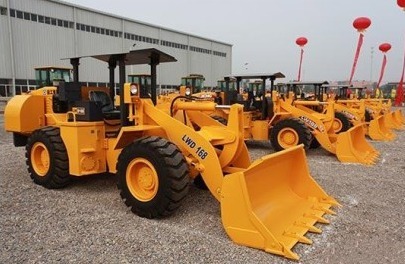 With this, the China Science and Technology Hardware Market All kinds of small-scale construction machinery even in July and August also showed a non-light sales season. As Chinaâ€™s infrastructure construction continues to improve, the domestic construction model is gradually shifting from â€œdragged into awe-inspiringâ€ to â€œprecisely craftedâ€, and small-scale construction machinery that has been classified as an unpopular product along with urban infrastructure projects in recent years. The construction and development of the real estate industry are in full swing, and the market has begun to improve. In particular, under the macroscopical control of the stateâ€™s macroscopical control over the construction machinery market, when the sales volume of the large-scale construction machinery industry declined sharply, small-scale construction machinery still showed a trend of converse growth and a splendid gratifying development trend. After years of development, the market for small construction machinery has gradually matured and the customer groups have become more and more clear. Third, individual project contractors purchase equipment mainly for the purpose of undertaking projects. Such customers have a larger proportion of buyers of small excavators and may become leasing companies and construction contractors in the future. With the continuous popularization of small-scale construction machinery, customersâ€™ experience has been continuously enriched, and the purchasing psychology has matured. Therefore, economical, practical and cost-effective products are favored by the market. While the customer's requirements for product quality are more and more demanding, they also put forward higher requirements for the after-sales service of the product. In addition, many dealers continue to improve and perfect their business ideas, and turning â€œpassiveâ€ into â€œactiveâ€ is also a key factor in promoting the sales of small construction machinery in the off-season. With the continuous renewing of operating concepts of business households and the gradual progress of sales concepts, they have actively taken action. On the one hand, they will focus more on the introduction of new products in the off-season so as to win more business opportunities in the upcoming hardware fair. On the other hand, they also make use of the off-season to do a good job of customer return visits, so that timely product structure adjustments, timely introduction of products suitable for market demand. Our robots are specialized in Metal press lines, through automatically feeding ,discharging the hardward products to reach all lines automation, saving the labour and avoid the industry injury. It is specially used in the metal drawing line include soak drawing-liquid and feeding & dicharging from punch press. Both processing procedures not suit manual operation due to liquid harmful and punch press is dangerous operating.